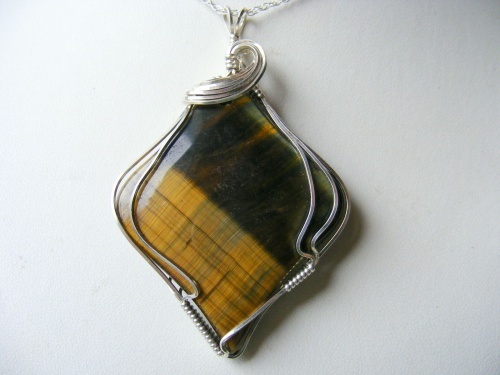 This beautiful piece of tiger eye gemstone has been sculpted in argentium silver. Very unique in shape and beautiful striated. Comes with a sterling silver chain.